I’m a medical oncologist specializing in cancers of the gastrointestinal tract. I am very passionate about building relationships with my patients and their families to provide them the highest quality of care. We make every effort to ensure that all questions are answered so that patients and their families feel comfortable with every decision made at each juncture throughout their cancer journey. At Fox Chase Cancer Center, I take special pride in collaborating with my peers, including gastroenterologists, radiologists, radiation oncologists, surgeons, and other cancer specialists to ensure that our patients receive the most individualized care possible. My research focus is related to the intersections between diet, nutrition, physical activity and cancer therapy. Questions regarding the importance of nutrition and its relationship with cancer are commonly encountered in the oncology clinic. I have always taken a special interest in understanding the impact of nutritional status as a modifiable risk factor in various cancers. I received my master’s degree in human nutrition from Columbia University in New York. More recently, I became board certified in Obesity Medicine to improve our efforts to manage obesity and related health conditions in addition to treating one’s cancer. 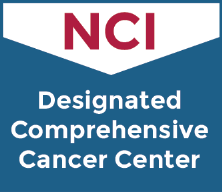 I am conducting novel research studying the relationships between specific cancers, nutrition and physical activity with the ultimate goal of improving clinical outcomes such as enhancing treatment effectiveness and reducing therapy related side effects. chemoradiotherapy. Submitted to Nutrition and Cancer. 10.1016/j.clml.2017.06.005. [Epub ahead of print] PubMed PMID: 28684379. Md.). 2017; 25 Suppl 2:S27-S29. PubMed PMID: 29086512. Tumor Genomic Profiling? J Natl Compr Canc Netw. 2016 Jun;14(6):795-806. Review. cohort. Exp Hematol Oncol. 2014 Aug 23;3:22. doi: 10.1186/2162-3619-3-22. eCollection 2014. PubMed PMID: 25170429; PubMed Central PMCID: PMC4147386. 2013 Sep 9. PubMed PMID: 23828763; PubMed Central PMCID: PMC5479065. Dec;18(3-4):257-66. doi: 10.1007/s10911-013-9307-3. Epub 2013 Nov 13. Review. nodules. Diagn Cytopathol. 2003 Oct;29(4):203-6. PubMed PMID: 14506672.